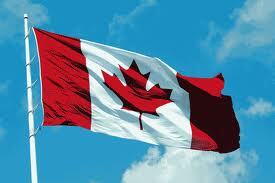 Monday, July 1, 2013: Canada Day; our national celebration of the birth of this country, now 146 years old. Our population has crossed the 35 million mark which would rank Canada around 36th in the world by population, 0.5% of the world's total on a land mass which is second only to Russia in territorial size. A few years ago, a friend made an interesting comment by saying that we were both lucky simply because we were born in Canada. He was stating that for no other reason being born in this country represented a stroke of good fortune. Canada as opposed to many other countries in the world gave all of us an upper hand by statistically giving us more choices and better chances than elsewhere. This is certainly not something I normally think about; after all, like everyone else I am very much caught up in living my life and I do not always turn my attention to such ideas. Nevertheless, I must admit that my friend was right and I suppose I do not always fully appreciate that fact. I had a chance in 2010 to visit to Egypt to see the land of the pharaohs. (I recommend everyone going. See it "live" instead of on National Geographic.) Beforehand, I did a little research to better understand my destination. Unlike previous vacations I've had in the U.S. or England or France, Egypt is a third world country and I had never visited a country which is officially classified as third world. The per capita income of Canada according to numbers from a 2012 IMF study shows approximately $52,232 US per year, #9 on the list while Egypt is listed #119 on the list with $3,112. What? I was stunned when I read that. How in terms of my life here in Canada could I possibly conceive of what it would mean to live with only one sixteenth of our average income? That is not just stunning, it is unbelievable. Note the word I used: unbelievable as I truly can't believe it would be possible to live on such a small amount of money. Certainly not in Canada and I can't quite imagine in what circumstances I could live with so little money. The United States has a per capita income of $49,922, #11 on the IMF list. Yes, Canada has pulled out in front of the U.S. According to some 2009 statistics, the United States had 16,200 murders while Canada had 523. Okay, the United States has 10 times the number of people but do the math. 16,200 divided by 10 = 1,620 or 523 times ten equals 5,230. That still means that the murder rate in the U.S. is three times higher than in Canada. 3 times! Aside: The Michael Moore film "Bowling for Columbine" has some very interesting things to say about guns, murder and the United States. Some may argue that the film is merely one's man opinion but I do think Mr. Moore brings up some valid points. My sister moved to the states and married an American. While her husband, as former military has benefits, my sister has to fend for herself. She's explained to me that now that she has had a lump removed from her right breast, she no longer has coverage for it. What? Yep, that's right; she can no longer have her right breast insured. I'm shaking my head. I walk in some place and slap down my O.H.I.P. card (Ontario Health Insurance Plan) and get service. My sister has also said that she had a problem with her cervix and now that part of her is no longer covered. Something doesn't add up. Is all this coverage in the newspapers about Obama explaining how poor health coverage is in the United States is true? Once again, Michael Moore in his film Sicko had some very interesting comparisons to make between the U.S. and Canada and other countries. There's no way I want to give up my O.H.I.P. for the extra $6,700 US I would have if I was an American! Aside: The film Sicko shows an American who accidentally cuts off 2 fingers with a table saw. Having no health insurance, he is told the middle finger will cost $60,000 to be reattached and the ring finger will cost $12,000. With limited funds, the man opts for his ring finger so he can continue wearing his wedding band. When Moore visits Canada, he discovers that if a Canadian accidentally cut off his fingers, he could have them reattached for free. When I look back over the past year in other parts of the world, I am horrified. The Syrian civil war has been going on for over two years and cost an estimated one hundred thousand lives. Iraq, North Korean, Afghanistan, and one of a number of hot spots are the targets of terrorists and dictators. How many bombings hit the headlines? When was the last time there was a bombing in Canada? I can think back a few years to an attack against the oil pipeline out in B.C. and an attack against a military recruiting office in Québec but does that in no way compares with what is going on elsewhere in the world. The worse we seem to have is some mischief makers setting off smoke bombs in the Montréal subway. An inconvenience, yes, but compare that the headlines in Iraq listing the number killed and the number wounded. Just now I see an article about a bombing in Iraq at a soccer match listing 12 killed and 25 wounded. According to the Guardian, sectarian violence led to the death of over one thousand people in Iraq in May, 2013, the highest monthly toll in years. Once in a while, it pays to look down and appreciate just how high up the ladder we are. It isn't perfect; I'll be the first to admit it but still, in comparison with other areas of the globe, Canada ain't so bad. In light of this, imagine my shock when I'm walking around during the G20 in Toronto in 2010 and I go by a protester, a woman who looked to be 35, just your normal type of suburban mom wearing a T-shirt which reads "F*** Canada". I beg your pardon? Let me consider that to be more a target of the G20 in general and not Canada specifically. From what I've read, Canada has the highest per capita net immigration rate in the world. Is that surprising? Considering our reputation as a peaceful, multi-cultural, diverse country, I can see that this nation would represent a possible land of milk and honey overseas. However, are we perfect? The answer is an emphatic no but looking around at other places in the world, I do have to ask myself why Canada in many ways has succeeded while others have either failed or have a long way to go to match us. For once, I'm going to pause, take a moment and mull over the fact that I'm Canadian and be grateful. I am lucky to be Canadian. The Human Development Index (HDI) is a composite statistic used to rank countries by level of "human development", taken as a synonym of the older terms (the standard of living and/or quality of life), and distinguishing "very high human development", "high human development", "medium human development", and "low human development" countries. 12: Canada 53,000 2012 est. 19: United States 50,000 2012 est. Bowling for Columbine is a 2002 documentary film written, directed, produced, and narrated by Michael Moore. The film explores what Moore suggests are the causes for the Columbine High School massacre and other acts of violence with guns. Moore focuses on the background and environment in which the massacre took place and some common public opinions and assumptions about related issues. The film also looks into the nature of violence in the United States. Sicko is a 2007 documentary film by American filmmaker Michael Moore. The film investigates health care in the United States, focusing on its health insurance and the pharmaceutical industry. The movie compares the for-profit, non-universal U.S. system with the non-profit universal health care systems of Canada, the United Kingdom, France and Cuba. A series of simultaneous bombings and shootings occurred in Iraq on 13 June 2012. At least 93 people were killed and over 300 wounded in coordinated attacks across Iraq. Comparison of the health care systems in Canada and the United States are often made by government, public health and public policy analysts. The two countries had similar health care systems before Canada reformed its system in the 1960s and 1970s. The United States spends much more money on health care than Canada, on both a per-capita basis and as a percentage of GDP. In 2006, per-capita spending for health care in Canada was US$3,678; in the U.S., US$6,714. The U.S. spent 15.3% of GDP on health care in that year; Canada spent 10.0%. In 2006, 70% of health care spending in Canada was financed by government, versus 46% in the United States. Total government spending per capita in the U.S. on health care was 23% higher than Canadian government spending, and U.S. government expenditure on health care was just under 83% of total Canadian spending (public and private) though these statistics don't take into account population differences. Under Lester Pearson's Liberal government [The Medical Care Act, 1966], Canada's health care was expanded through the Medical Care Act, or Medicare to provide near universal coverage to all Canadians 'according to their need for such services and irrespective of their ability to pay'.